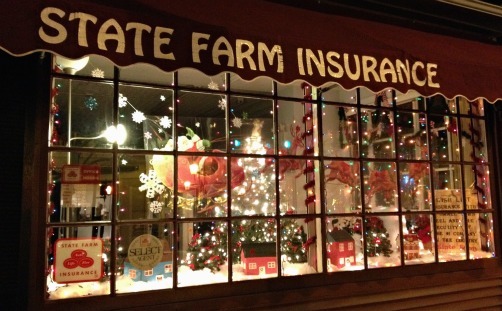 State Farm, Dressed For The Season! State Farm has clearly put quite a bit of time and effort into their window display, a wish list and all! Scroll through and take a look! This entry was posted on Friday, December 16th, 2011 at 12:33 pm and is filed under Ambler. You can follow any responses to this entry through the RSS 2.0 feed. Both comments and pings are currently closed.